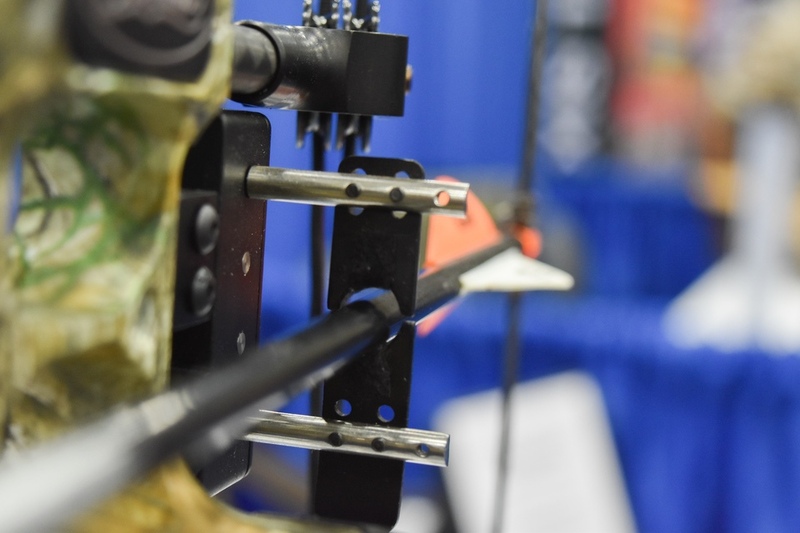 Being a bowhunter and archery addict, I felt ecstatic to attend the 2019 Archery Trade Association (ATA) Show in Louisville, Kentucky. Here are my product picks that I think female bowhunters will love! Rage introduced the Hypodermic NC. 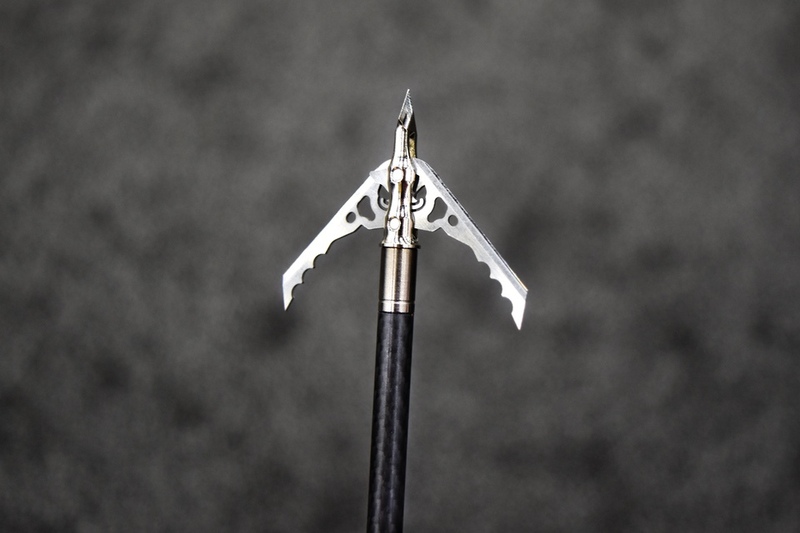 This “no collar” broadhead uses a spring system to keep the blades closed making it reusable. Typically you would need a new shock collar after the broadhead penetrates a surface. This “no collar” broadhead uses a mechanical spring system to keep the blades closed, rather than a collar that would typically break upon penetration. This means this broadhead is REUSABLE! It also is rated for those who pull back 30 pounds and up, making it a great hunting broadhead for just about anyone. 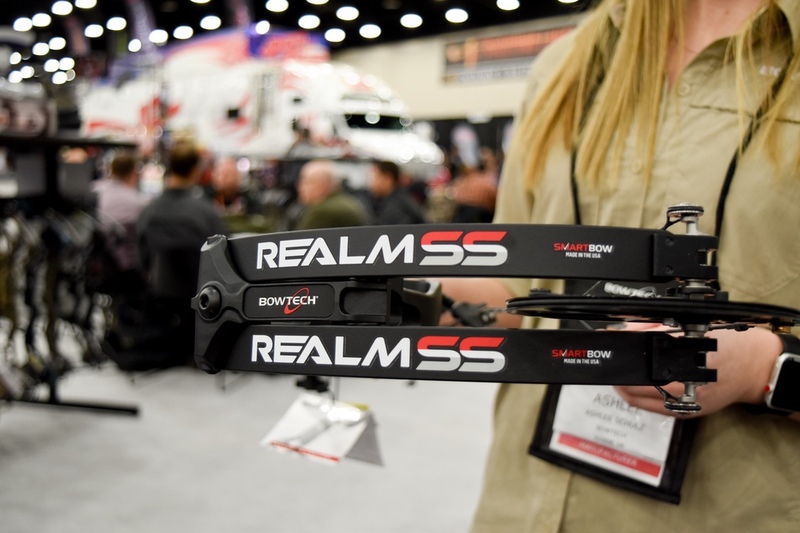 These broadheads won’t be available to order for a few more weeks, but more information about the Rage line can be found here. MSRP: $49.99 for a 3-pack. The Encompass arrow rest is a full containment rest. The top tab actually takes a little bit of arch out of the arrow, helping with accuracy. What I loved about the Encompass was that it is a full containment rest. The arrow definitely felt secure enough in the rest, and could be moved during a spot-and-stalk-style hunt. MSRP: $189.95. Created by a company called Clear Creek Archery, the Encompass Arrow Rest retails at $199. Choosing a new bow for 2019 was a tough one. I’ve always shot Mathews and Mission and, while I love them, I decided to branch out a bit and gave the Bowtech Realm SS a shot. This bow is true to its name and has a super smooth draw. Maxing out at 60 pounds, the draw length is also adjustable for those between a 25-to-28-inch draw. Let me tell you, this is a high-end bow, in price and quality. MSRP: $1199. Gold tip is the only company that offers 4-fletched arrows right from the factory. The buyer can choose online whether they want the Airstrike with 3 or 4 fletchings. An advantage of 4-fletched arrows is increased arrow stabilization, meaning the potential for tighter groups. 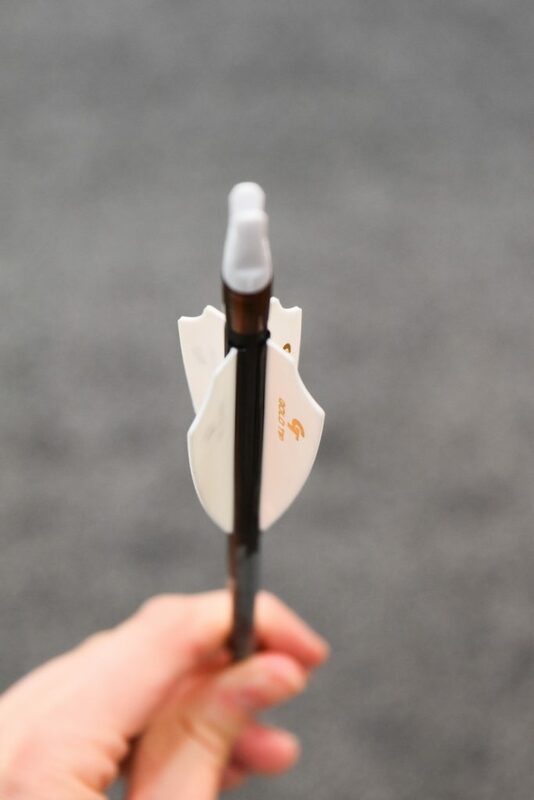 This Airstrike arrow features a new coating called the Dyna-Tek Slick Shield coating, which was designed for speed and to help increase penetration. It also eases pullout of arrows in a target. MSRP: $199.99 for a dozen. 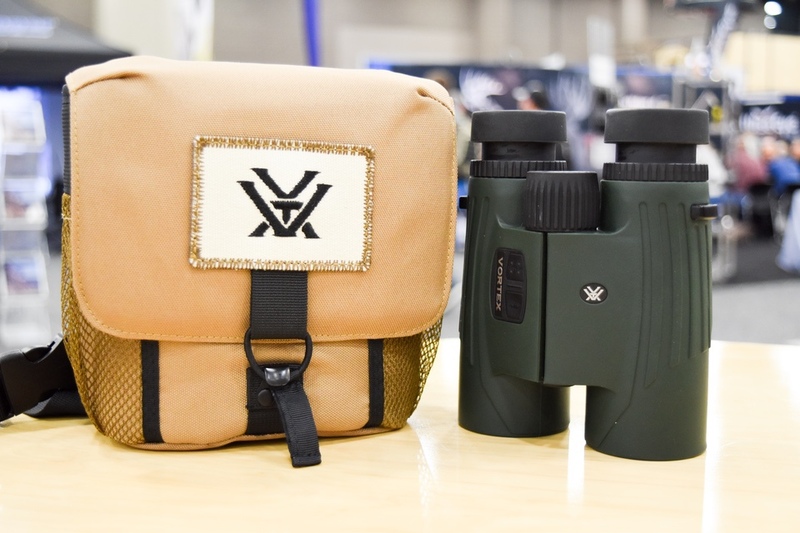 The Vortex Fury HD provides a range finder/binocular combo that will be particularly popular among western hunters. Bonus: when you buy the Fury HD, it comes with this glass pack bino harness. The Fury HD is a binocular with an angle-compensated rangefinder built in. This high definition combo reigns as the most economical range finder/bino combo currently on the market. MSRP: $1599.99. The Breadcrumb app has a feature where a user can virtually share their nock device with a hunting buddy. This then doubles the tracking range so both hunters can then track the arrow at the same time on their own respective devices. This was one of the coolest products I found. 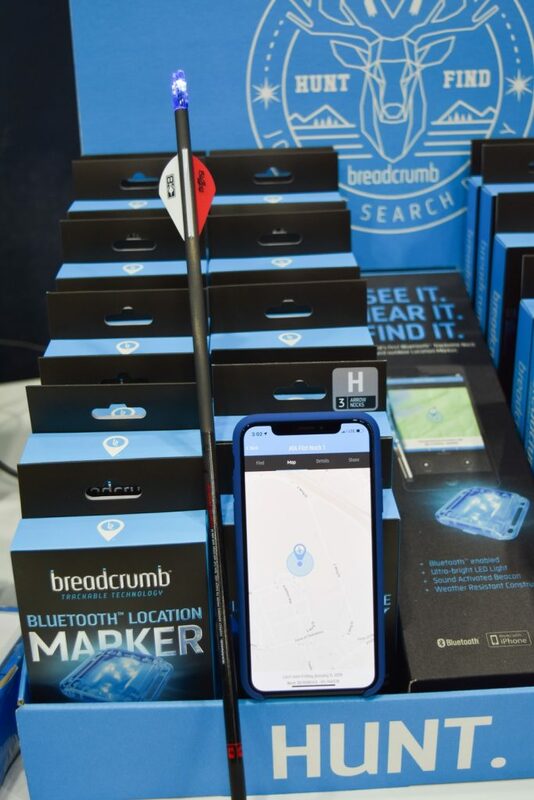 The Bluetooth Trackable Nock features software that causes the nock to flash after the arrow is released, connecting it to the Breadcrumb app via Bluetooth so that it can be located.MSRP: $44.99. 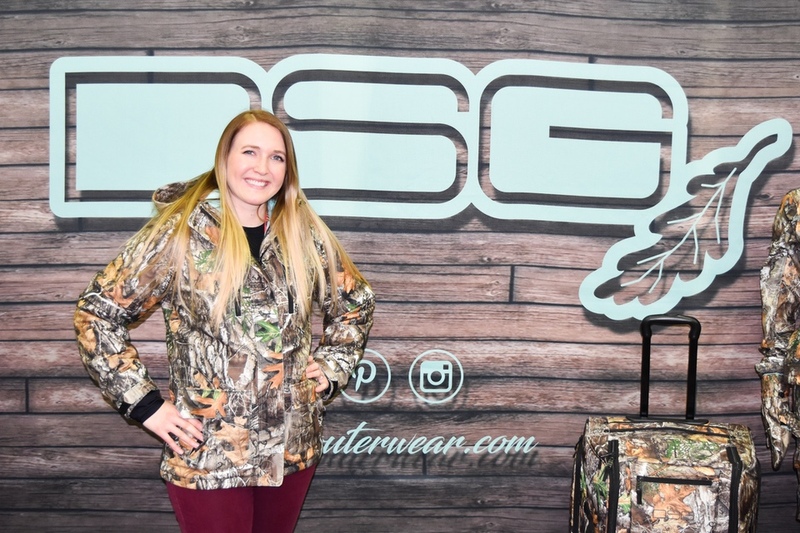 The new Kylie 2.0 Jacket comes in Realtree Edge and is features a 3-in-1 layering system. It includes a removable, aqua-colored fleece liner that is actually fashionable enough to be worn on it’s own. This Kylie 2.0 jacket checks all the boxes that I look for a in ladies hunting jacket. The material is soft and super quiet with a feminine fit. The removable fleece liner makes this jacket usable in early or late season hunts (even in the cold Midwest). MSRP: $179.99. 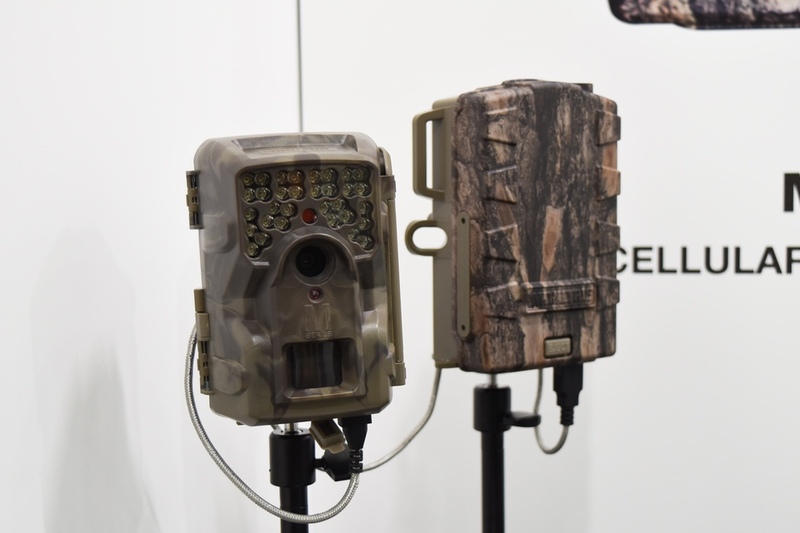 Moultrie has introduced two new cameras for 2019 that feature 4G cellular technology with either AT&T or Verizon. The cameras are capable of sending images at whichever intervals the user chooses and can be easily sorted by the photos metadata in the app. The Moultrie Mobile Integrated cameras use AT&T (XA7000i) or Verizon (XV7000i) cellular data to transmit 20 MP trail camera images directly to the app on your phone. They also stood out among other options because of their moderate pricing. MSRP: $179.99.